While we write a fair amount about smartwatches and the future on The Next Web, we also have a fairly healthy dose of nostalgia for anything Mario-related, like this limited edition timepiece from watchmaker Romain Jerome. Yes, I was a child of the eighties. Yes, I loved Mario. But no, I’m not sure I’d cough up just under $19,000 for the privilege of owning the Super Mario Bros. watch, even though 85 will only ever be made. 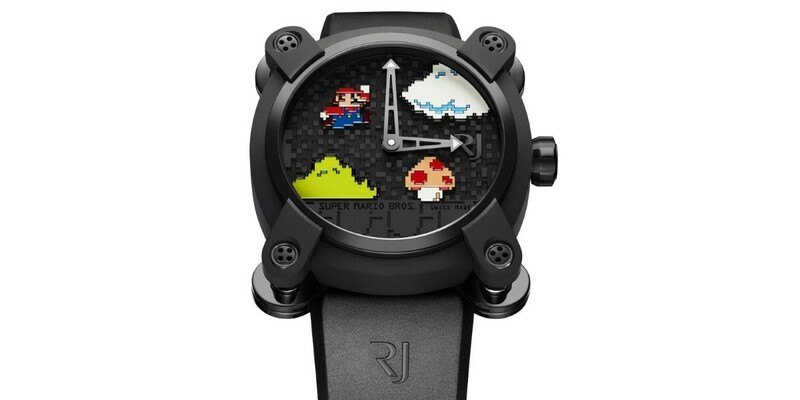 According to A Blog to Watch, the timepiece’s release has been designed to coincide with the 30 year anniversary of the hapless plumber and his sidekick and is the third video game-inspired creation from Romain Jerome, following Pac-Man and Space Invaders models. For your $19,000 you get a 3D pixel-style Super Mario, mushroom, cloud and bush, none of which move in any way, before you get too excited. If you’ve got that sort of money burning a whole in your pocket and want a watch straight out of 1985, then you know where to head.